KARACHI: Reluctant to adopt environment-friendly diesel as transport fuel, the country’s oil industry has asked the government to delay accepting Kuwait’s demand to phase out low quality high-speed diesel — Euro-II — by Dec 2020. State-run Kuwait Petroleum Company (KPC) — Pakistan’s largest fuel supplier — had asked Islamabad in July to upgrade its market and fuel supply network for higher grade gas oil, commonly known as High Speed Diesel (HSD), to remain its long-term client. Pakistan generally imports half of the country’s diesel requirement from Kuwait under a long-term arrangement between their respective state-run companies — Pakistan State Oil (PSO) and KPC. PSO imports about 0.4-0.5 million tonnes of diesel per month from KPC against country’s total monthly consumption of about 0.8m tonnes. About 220,000 tonnes per month production comes from domestic refineries. As a result, the PSO has asked the petroleum division to take note of the situation and review pricing mechanism. PSO is currently procuring gas oil of 500ppm under a long-term contract with KPC that has already been extended till December 2020, but KPC would not be able to provide that poor quality fuel beyond early 2020 because of its upgradation. KPC had told PSO that Euro-II diesel containing 500ppm (sulphur particles per million), which is currently in Pakistan’s use, would not be available for imports from 2020 onwards because it would start producing Euro-V diesel containing 10ppm after the completion of its Clean Fuel Project. The PSO has reported that existing pricing based on 500ppm sulphur (Euro-II) will not be commercially feasible for it because 10ppm sulphur (Euro-V) is almost $1 per barrel more expensive. The government last month sought feedback from the oil industry on non-availability of HSD grade Euro-II from KPC with effect from early 2020. The Oil Companies Advisory Council (OCAC) responded that the issue needed to be examined on techno-economic and commercial viability. It said the prevailing HSD specification notified by the petroleum division would need to be reviewed since KPC has indicated that lubricity improvers will be added for Euro-V. The OCAC said ultra-low sulphur diesel such as Euro-V is achieved through desulfurisation. As a diesel’s sulfur level (500ppm) is reduced, the fuel’s inherent lubricity characteristics are also reduced. Diesel fuels with poor lubricity characteristics can lead pump wear and eventually vehicle failure. Therefore, lubrication properties have become a key parameter of low-sulfur diesel-fuel specifications. Also, it will potentially translate into a scenario of Euro-II and Euro-IV both being replaced with Euro-V. Almost 50 per cent of the diesel in the market will still be Euro-II as produced by the local refineries which need to be involved in the assessment of impact on both refinery pricing and product specification as they will continue to produce 500ppm diesel, the OCAC said. On top of that, since vehicle manufacturers and assemblers were also important stakeholders, they should also be involved before finalising industry switchover from Euro-II to Euro-V. The OCAC said that Euro-II was primarily used by transportation sector; hence a study needs to be conducted on the impact of conversion from Euro-II to Euro-V. Moreover, Euro-V specification will create additional burden as consumers will be required to pay a higher price. Therefore, a study should be conducted to facilitate an informed decision keeping in view the long-term impact, the OCAC pleaded. The PSO had explained that discrepancy in imports with regard to specifications and pricing issues would occur if it imports 10ppm diesel and other oil marketing companies import 500ppm diesel, unless the government makes it mandatory for all diesel imports from 2020 to shift to a uniform 10ppm sulphur Euro-V level to ensure better quality and environmental friendly fuel in the country. 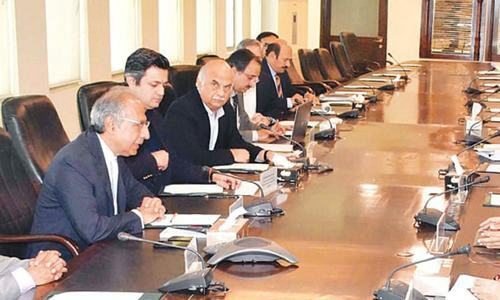 The government had earlier announced a policy to improve fuel grades and KPC’s specifications were generally in line with measures highlighted in the policy but local refineries had some issues with the upgradation timeline because of the additional investments required. 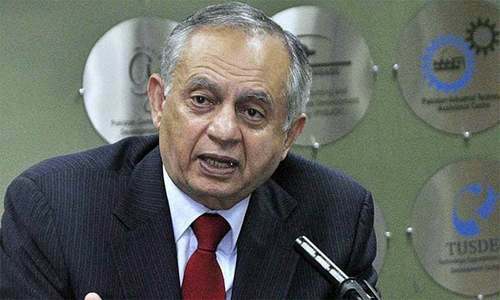 He said all the stakeholders – oil marketing companies and refineries, the Oil and Gas Regulatory Authority and Hydrocarbon Development Institute of Pakistan – had been requested to give their technical and professional input on the situation. Pakistan’s total demand for petroleum, oil and lubricants products is estimated to increase by 17.5pc from 27m tonnes this year to about 32m tonnes in five years, according to OCAC – an umbrella organisation of oil companies. The cost of existing oil imports generally lies between $12-14 billion per year. HSD would be a key driver for growth in consumption of petroleum products. Its consumption is estimated to increase by 46.4pc to 13.7m tonnes in five years from current level of 9.3m tonnes. The demand for motor gasoline, commonly known as petrol, currently stands at about 7.97m tonnes that would jump to 14.17m tonnes in 2021-22, showing an increase of about 78pc. The imports of diesel in the country shifted to Euro-II specifications or 500ppm in January 2017. The OMCs and refineries declined to introduce Euro-III & Euro-IV compliant HSD, claiming that it was not feasible to sell the higher grade product in the Pakistani market when the petroleum division proposed better grades in a deregulated environment, and subsequently upgrade local refineries capable of matching the quality of the imported product. Higher grade fuels are considered more efficient and eco-friendly, but are relatively expensive. Pakistan used to have 0.5pc sulphur content HSD, which produced 5,000ppm until December 2016. This was switched to 0.05ppm Euro-II having 500ppm. Euro-III should have 0.035pc (350ppm), Euro-IV 0.005ppm (50ppm) and Euro-V 0.001ppm (10ppm). What an informative article by Mr. Kiani, who I presume is a chemical engineer! Kudos to Dawn for allowing space for such a technical article that respects the readers' intelligence. Pakistan must move to low sulphur Euro V fuel to protect its’ environment. Pakistan has and will continue to remain a dumping ground for inefficient, used / refurbished engines which are even currently no longer being used or accepted in European market and advance countries. The future lies in adopting rather the fighting technology. Monopoly of OMC not making critical investment for using cleaner technologies even when making high profits. High Sulphur fuel is bad for man and machines and costs much more in the long term. What will be the cetane rating of new diesel. The govt should heavily fine the petroleum companies. EuroV is minimum standard now. We need cleaner diesels in Pakistan. The car manufacturers should offer more diesel options. Europe is usjmg Euro 6 since 2015. What is euro 6? Euro 6 is the sixth incarnation of the European Union directive to reduce harmful pollutants from vehicle exhausts. The Euro 6 standard was introduced in September 2015, and all mass-produced cars sold from this date need to meet these emissions requirements. The aim of Euro 6 is to reduce levels of harmful car and van exhaust emissions, both in petrol and diesel cars. It will be a bad decision to submit to the will of the oil marketing companies. Enough time has been allowed to them for the switchover. It is not in the country's interests to delay any further. How about giving refineries a target date to meet Euro V spec like 2021 or 2022. In the meanwhile, PSQCA can develop an interim standard for HSD blending based on 10ppm and 500ppm diesel availability. That way, the same pricing can be maintained by all oil marketing companies. And the blended HSD will retain it's lubricating effect. Moreover, any OMC or refinery head who says that Pakistan doesn't need HSD with 10ppm sulphur, should be hung for 24 hrs behind a local bus inhaling thick black smoke from its exhaust. After 24 hrs, significant improvement will be noticed. If KPC would not be able to provide the poor quality fuel we use beyond early 2020 because of its upgradation, we should be happy to be free from sulphur pollution. One dollar increase per barrel in price is nothing because there are 220 liter in a barrel and a dollar per liter increase in price would amount to just about Rs. 0.56 or Paisas 56 increase in Euro-V diesel price as compared to the current price of Euro-II diesel..
correction 159 litres in a barrel of oil.